Iranian Foreign Minister Mohammad Javad Zarif announced on Wednesday, June 23, that French National Assembly President Claude Bartolone is scheduled to visit Iran in coming days in a bid to broaden relations between the two nations. Iran had the opportunity last year to host the Senate President Gérard Larcher, and now, the President of French National Assembly, Mr. Bartolone, is planned to pay a visit to Tehran next week, Zarif said, speaking in Paris in a meeting with members of the Senate Committee on Foreign Affairs, the Defence and Armed Forces. Zarif went on to say that the visit is expected to help the two nations find a better understanding of each other, as reported by IRNA. Zarif referred to the international campaign against terrorism, urging that all sides should cooperate in order to attain the ultimate goal. “We should be prepared to face the difficulties and find ways out of the deadlocks, adopting a unified stance to resolve the issues in the international community,” Zarif said. Fight against terrorism requires collective action, he said, adding that Iran as a victim of terrorism is ready to spare no efforts to destroy terrorism. In regional developments, no one can claim that problems will be limited to a specific district, he said, pointing to a series of crimes being committed in France these days. Such problems will not be limited to a specific region and will spread to other regions as well, he stressed, reaffirming that the resolution of this issue requires a global consensus. Terrorism will not be resolved through military means, Zarif said, adding that political disputes must be settled through political means. Spread of disappointment among the youth following their economic failures and experiences of injustice prepares the grounds for them to be deceived by terrorist groups, he said. 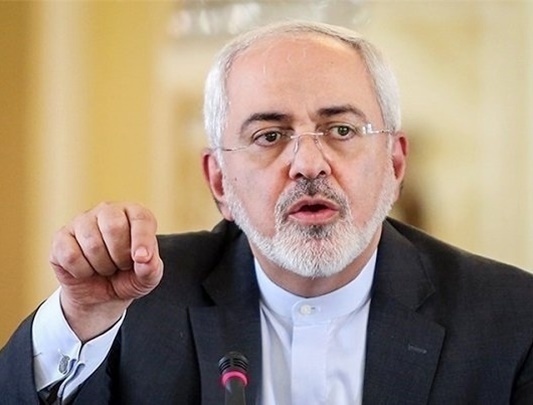 Fight against extremists groups requires cutting their financial and human resources as part of a global effort, Zarif noted.. Elsewhere in his remarks, Zarif referred to the recent parliamentary elections in Iran, saying that Iran’s Majlis [Parliament] speaker and heads of commissions have already been elected, and members of friendship groups will soon start their work to enhance mutual cooperation between Iranian and French parliaments. The Iranian foreign ministry welcomes such relations that help deepen friendly ties between the two nations, Zarif said.